Going to college used to be affordable, but the modern economy and rising expenses of advanced education have changed dramatically enough to make college tuition an exorbitant burden. While 40% of this debt is owned by graduate students, there is enough debt to go around to alter the lifestyles of millions of college graduates. If these borrowers did not have the debt, they could afford to buy a house, but currently, student debt is second only to the home mortgage market. This astronomical debt has also turned into a political issue. Progressive candidates, such as Bernie Sanders, have proposed free college tuition as part of an overall new progressive economic agenda. And while that could be decades away, borrowers still have to face up to the debt, earn a living and put enough money away to pay bills and fund retirement. 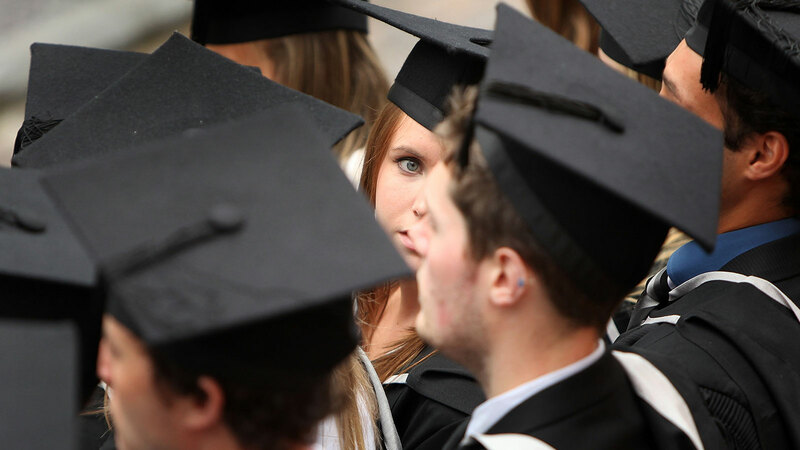 The years after graduation are especially tough financially, so new graduates and younger people in the workforce should develop healthy, smart savings and investing habits. But this is easier said than done, mainly because investing is an over-discussed and abused topic, replete with some bad advice. Oddly, some of the best advice is the most straightforward and relies on some market knowledge and advanced common sense. According to Michael C. Taylor, author of The Financial Rules for New College Graduates, the best advice is to follow “dumb, simple things,” such as appreciating the power of compound interest; a concept that Einstein said was one of the mathematical wonders of the world. He also stresses that investment fees and expenses are the hidden killer of investment returns. “Don’t pay the 1% fee because over 20 years that 1 % turns out to be huge.” He also believes that active investment management, aka the Efficient Market Hypothesis, is alive and well and no matter what a fund manager says, they will not beat the market in the long-run. Taylor also has chapters on how to apply the traits of modesty, skepticism and optimism into financial decision making. There is also a discussion about what wealth really means and the nature of work. For instance, he said anyone concerned about building wealth needs to think about their own death and values. This includes thoughts on what it means to be wealthy. “It’s important to do work that makes you feel valuable, so you can enjoy the things that make you happy. It’s also the philanthropy that makes you feel wealthy. You won’t feel wealthy if you don’t give something back,” he said. While many of the investment suggestions are not new, the math behind the essential financial concepts of power of compound interest and the role of discounted cash flows are presented in an easy-to-understand way. There is also an important chapter on taxes and the progressive interpretation that “tax laws are written by and for capitalists, not working people. The tax system is rigged against the average workers. People need to know this and this is how you have to manage your tax exposure so you can use all legal available means to be taxed at a lower rate,” he said.